It was first demoed at the company’s IO developer conference last May, and looked like a compelling use case for AR tech. Essentially, if you plan to walk anywhere, Maps can use your phone’s camera to get a better understanding of exactly where you are. It can then display prominent signs and arrows on your screen to precisely guide you to your destination. 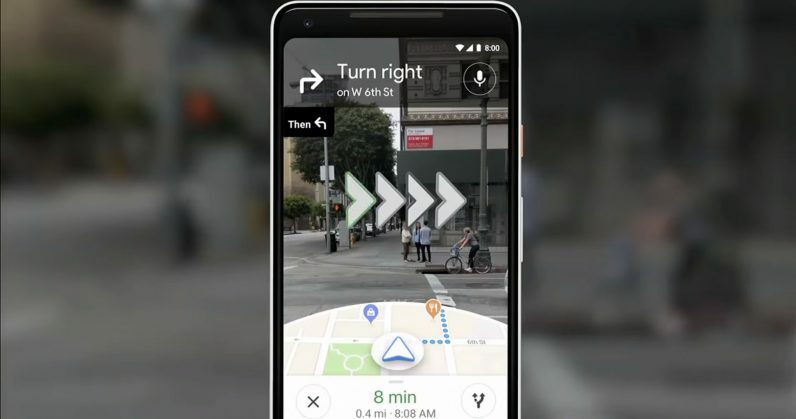 No more walking in the wrong direction until Maps’ little blue dot gets its bearing, and then instructs you to sheepishly turn on your heel and head the opposite way like a schmuck.